First, let’s define what a balanced meal is. A meal = a serving of a protein + carb + fat. Eating the right foods refer to consuming lean (or plant based) proteins, whole food carbs, and healthy fats at least 80% of the time and consuming the things you enjoy (that may not be so healthy) the other 20% (max) of the time. 4-5 meals a day. 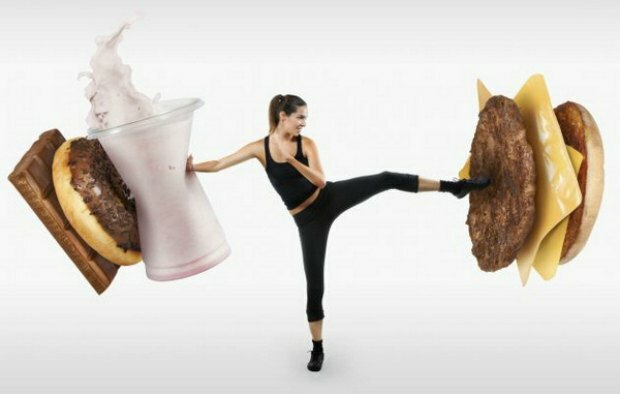 While there is a lot out there on how eating every 2-3 hours helps with weight loss by increasing your metabolism, recent scientific evidence doesn’t back that up. Eating every few hours (aka grazing) will help to keep your blood sugar levels steady so that you don’t get too hungry and have increased cravings for carbs and sugars. However, that same grazing can also cause an over-secretion of insulin that can lead to poor nutrient absorption and insulin resistance, which can increase your chances of type 2 diabetes and excess fat storage. The take home message here is to listen to your body. Try to allow for at least 3 (preferably 4) hours between meals and keep the meals balanced to decrease hunger, cravings and to keep sugar levels consistent. Water is absolutely crucial to getting the body you want. Up to 60% of our total body weight is made up of water. There are many benefits of staying properly hydrated. Some of them include helping to flush toxins from the body, increasing your metabolism, acting as a natural detox, natural appetite suppressant and a natural lubricant for your joints and body temperature regulator. To maintain proper hydration, you want to aim for at least 64oz of water daily or until your urine is pale yellow to clear in color. Drink a glass of room temperature water with ½ lemon first thing in the morning to help with rehydration from overnight, digestion, increasing your metabolism and to serve as a natural body detoxifier. In part 3, we will discuss counting calories, reading food labels and sugar.